Richard Tuck was for over twenty years a member of the faculty of Cambridge University before joining the Harvard faculty in 1995. His prior affiliation is important because he is a leading exemplar of what has come to be called the “Cambridge school” of historians of political thought. He is remarkably erudite, having seeming read everything relevant, in multiple languages and editions, to whatever subject he is writing about. These traits are certainly present in his newest book, The Sleeping Sovereign: The Invention of Modern Democracy, which consists primarily of very close analyses of a number of giants of Western (primarily European) political theory, including Jean Bodin, Thomas Hobbes, and Jean Jacques Rousseau, to mention only the best known of his subjects. His central topic may appear to be only of “theoretical” importance: It is the distinction that must be made between actual governments and the powers they exercise, on the one hand, and the lurking “sovereign” who ostensibly authorizes the government to govern in the first place. After all, governments almost always try to legitimize their power on the basis that it has been authorized by some other, supreme, entity (the “sovereign”). The easiest—and, for many centuries, surely the most important--example is a divinity who selects some earthly delegates to govern in the divine name. Consider in this context St. Paul’s Letter to the Romans, Chapter 13:1: “Let everyone be subject to the governing authorities, for there is no authority except that which God has established. The authorities that exist have been established by God.” This obviously became the basis for the notion of the divine right of monarchs and the argument that it was heretical to question their authority. 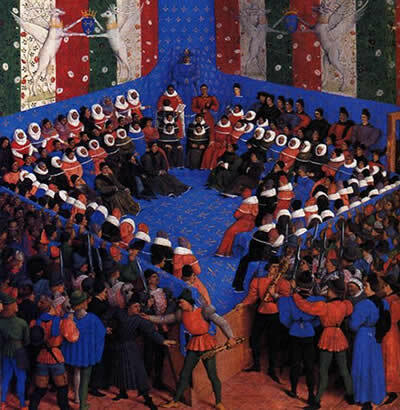 What appeared to be only “theoretical” or even “theological” could become almost literally a matter of life or death once the authority was questioned, either because of a loss of belief in a God who establishes authority or, just as importantly, because one challenged the assertion that a given highly deficient monarch was in fact chosen by God. We can now understand the importance of Tuck’s primary title, The Sleeping Sovereign. The stability of government, however much it might rely on a presumed authorization by a higher, “sovereign” power, depends on that sovereign’s remaining basically asleep, making no effort actually to intervene in the ongoing decisions made by those claiming the power to govern. Tuck traces the notion of the “sleeping sovereign” back to Hobbes. Perhaps one might analogize the situation to the directors of a family business founded centuries ago. They may keep a picture of their founder on the wall and even advert to a book of guiding maxims written by him. But the one thing they can be certain of is that the founder is not going to reappear and engage in a direct challenge to the new-fangled ideas of the younger generation (or the interpretations they might offer of the founding maxims). It is one thing to pay ritualistic homage to the foundational figure; it is quite another actually to be subject to ongoing direction. Tuck in effect begins his own book when theories of divine right are in decline or, at the very least, are being subjected to almost literally fatal challenge. (Think of Charles the First on the gallows as part of the English Revolution in 1649.) Thus the crux of his book is a meditation on the slow but sure rise—“the invention”—of what we have come to call “modern democracy.” Almost all “Western” countries today, including all countries that are historically connected in one way or another to Great Britain, not only would proclaim that they are “democratic,” but also that they accept one version or another of “popular sovereignty.” The United States, of course, can be said to have led the way. There was first the secession from the British Empire in 1776, in the name of the right of “the people” to establish governments that derive “their just powers from the consent of the governed.” This was followed less than a dozen years later with the promulgation of the 1787 Constitution in which “We the People” ostensibly “ordain” a decidedly new system of government that ruthlessly sets aside the existing system established by the Articles of Confederation in the wake of secession. Both carry with them the implication that consent once given can be withdrawn. Secession or revolution can become legitimate. There is, of course, nothing merely “academic” about such notions in the history of either the United States or of Canada. Looking beyond our two countries, one can easily argue, in retrospect, that it is Woodrow Wilson rather than, say, Vladimir Lenin who is the most influential political figure of the 20th century. It is Wilson, after all, an American Southerner who romanticized the “lost cause” of Southern secession, whose most important contribution to the world community, for better and for worse, was the overwhelming duty to honor the claims of “national self-determination.” This notion, underlying intervention by the United States a century ago into a war that was purportedly going to make the “world safe for democracy,” has led to the breakup of empires and countries and continues both to inspire millions and wreak havoc around the world. It is the basis, after all, of continued calls by members of the Quebecois for independence from Canada. There is no idea,Victor Hugo wrote, so powerful as an idea whose time has come, and the idea of popular sovereignty has been on the march for at almost half a millennium. 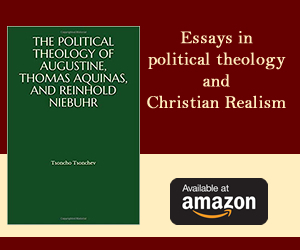 I have little to say about the first two thirds of the book, which focus on close analyses of Bodin, Hobbes, Pufendorf, Grotius, and Rousseau, among others. I suspect they will be of primary interest to academic readers, all of whom, very much including myself, will learn much. It is the last third of his book, which focuses on the United States and then, in the concluding chapter, on some contemporary implications of the ideas considered, that should be compelling even to non-academic readers trying to make sense of their increasingly disordered political universe. As to the United States, the term “sleeping sovereign” seems altogether relevant in describing the dominant theory of American constitutionalism at the national level. I was surprised that Professor Tuck did not include in his book the forthright statement of Publius, the nom de plume of the joint authors of The Federalist, in essay Number 63, when he is defending a government organized exclusively on the basis of “representation.” Publius, in this case James Madison, privileges representative government by offering an invidious contrast with those forms of democracy associated with ancient Athens that emphasized the desirability (and reality) of more direct participation in governance. “The true distinction” between prior governments and the new American version, based, we had earlier been told in Federalist 9 on the latest wisdom of a developing “science of politics,” is “THE TOTAL EXCLUSION OF THE PEOPLE, IN THEIR COLLECTIVE CAPACITY,” from any actual role in what is claimed to be self-government. It is worth noting that the words are capitalized in the original, just in case we might miss the point. Even if “We the People” are competent to “ordain” a new system of government, we should be under no illusions that “we” have the capacity to engage in direct governance. That will be done for us, by a select group of “representatives.” To be sure, they are chosen, by and large, in elections, but that is light-years different from direct choice via, say, referenda. One might share the cynicism of the late Yale professor Edmund Morgan, who dismissed the use of the term “popular sovereignty” as a thoroughly fictive notion whose primary function is to “enable the few to govern the many.” And one might well believe, especially in the modern era, that “democracy” is little better with regard to providing any genuine clarity. That being said, it should also be clear that adopting such a cynical pose has the consequence not only of delegitimating almost all existing governments but also making reform appear utterly hopeless. One of the final books by the late British political scientist Anthony King, The Founding Fathers v. The People: Paradoxes of American Democracy, expressed both amazement and dismay at the extent to which the United States is now truly exceptional both among countries around the world and constituent American states in denying any room for the populace genuinely to assert itself through referendum or elections to recall public officials who had lost public confidence. Think how different current American politics might be if Donald Trump were subject to a recall election, as would be possible, for example, in Wisconsin or California! But it is worthwhile to move across the Atlantic, to Professor Tuck’s former home and the reality of Brexit, i.e., British secession from the European Union. 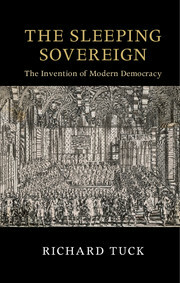 One can scarcely read any of the discussions of Brexit without encountering the word “sovereignty.” The Economist titled its “Brexit brief,” prior to the vote, “Dreaming of Sovereignty,” though, of course, it scarcely supported “Leavers.” It quoted then Prime Minister Edward Heath’s assurance, in 1972, that joining Europe posed “no question of any erosion of essential national sovereignty” This is true, ironically or not, only if one relies on the ultimate weapon of secession as the manifestation of retained sovereignty. Otherwise, no serious person could have believed that there would be “no erosion” of British sovereignty in, for example, becoming subject to the jurisdiction of the European Court or to decisions made by the developing mechanisms of transnational governance. A post-vote analysis of Brexit argued that the primary determinant of a vote to leave was not in fact anti-immigrant sentiment, as had been widely assumed. Instead, one can find an embrace of the ideal of the Declaration of Independence, i.e., the retention of government “by consent of the governed” in lieu of accepting the reality of increasing governance by distant politicians or, more fundamentally, ostensibly expert technocrats in Brussels or Strasbourg. I offer one more observation about the remarkable Brexit referendum. From the perspective of an onlooking American, it appears that the United Kingdom has thoroughly repudiated the position it had taken in 1776 and maintained for more than two centuries afterward, where Parliament (or the “Monarch in Parliament”) was deemed to be “sovereign,” whatever might be said of ostensible “mandates” voted on by the electorate. But the aftermath of the Brexit vote has been the practical adoption of the position associated not with those who framed the national U.S. Constitution, but, instead, with some of their more democratic opponents or, for that matter, contemporary California. That is, the referendum was not in the least treated as merely advisory, subject to genuine “reflection and choice” by a “sovereign” Parliament. In that case, one might well have predicted that Burkean “representatives,” guided by their view of what was best for the United Kingdom, would have rejected the advice proffered by an arguably misled fifty-two percent of the electorate to extricate the country from Europe. The Sleeping Sovereign was originally a set of lectures delivered in 2012 and sent to the publisher in 2015. At that point Professor Tuck himself referred to the forthcoming Brexit vote as only a “’consultative’ referendum,” and went on to suggest that this is “something which is moving the United Kingdom towards the default constitutional structure of a modern state.” Given the aftermath of the vote, I wonder if he would still describe it as merely “consultative,” at least if that suggests that MPs genuinely believed they could reject the result. The point is whether one accepts as truly dispositive a particular political vote on a particular day, in spite of important questions that might be raised about the integrity of the arguments actually presented to the general public. When a sleeping sovereign chooses to awaken, do we understand its speech as the equivalent of commands that are obligatory whether or not we agree? After all, if obedience is contingent on agreement, then one might wonder if “sovereign authority” really exists. In this regard, one might cite Andrew Jackson’s assertion that opinions of the United States Supreme Court were entitled to only so much “respect as their reasoning entitles them to,” a standard that no self-respecting authoritative body—or would-be sovereign—would ever find sufficient. So, to the extent that contemporary members of the British Parliament voted for Brexit not because they truly respected the arguments behind it, but, instead, because they believed themselves to be in thrall to the sovereign electorate, one can say that centuries of accepted British political theory have come to a crashing end. It should be clear, therefore, that Professor Tuck’s book should be of immense interest not only to his fellow political theorists, but also to the rest of us who find ourselves, with whatever degree of formal academic training or practical frustration, wrestling with the continued use of such terms as “sovereignty” and “democracy” whether in opinions of the United States or Canadian Supreme Courts or heated debates as part of mass politics across several continents. Sanford Levinson is the W. St. John Garwood and W. St. John Garwood, Jr. Centennial Chair in Law at the University of Texas Law School and Professor in the Department of Government at the University of Texas at Austin. A prolific author, his most recent books are Framed: America’s 51 Constitutions and the Crisis of Governance and An Argument Open to All: Reading the Federalist in the 21st Century.